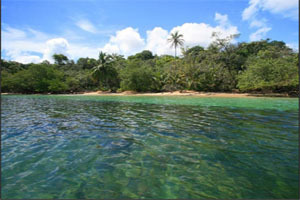 The province of Bocas del Toro occupies the north-west corner of Panama. 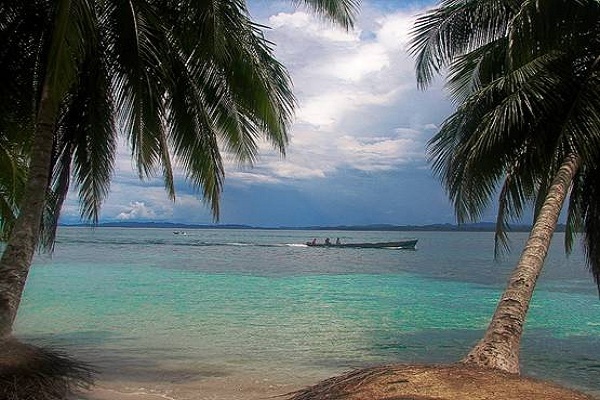 It’s most famous for it’s palm fringed Caribbean islands, which form the Archipelago of Bocas del Toro. Bocas, as the locals refer to it, is home to a diverse mix of people comprised of descendants of canal and banana labourers from Africa, Colombia, Jamaica and the French Antilles, Latinos, West Indies, members of four indigenous tribes and expatriates from Europe and North America. This combination of residents has lead to some of the best options for food that Panama has to offer. Locals and tourists alike are all there for the one reason – to enjoy the relaxed island vibe. Christopher Colombus discovered the islands the islands of Bocas del Toro in 1502 while looking for a passage to the Pacific Ocean. He was so taken by the islands beauty that he weaved his own name into many of the place names. Isla Colon(Colombus Island), Isla Cristobal(Christopher Island) and Bahia de Almirante(Admiral’s Bay) are all named after him. The Archipelago of Bocas del Toro is Panama’s own slice of the Caribbean. Comprising of six islands with varying levels of development, and countless uninhabited atolls, there is a piece of Paradise for everyone, no matter how you like your beaches. There are beachside cocktail bars and wild nights to be had on the busiest island, Isla Colon where there are numerous Hotel and Lodge accommodation options for all budgets. The vibe becomes more relaxed and the crowds thin out the further you island hop from Isla Colon to more relaxing islands like Bastimentos where you have better access to some beautiful beaches and surf spots. 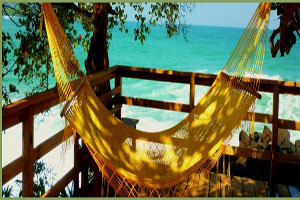 Isla Bastimentos also boasts some superior Hotel accommodation for the ultimate island getaway. On many of the islands hiking and camping are available, with birding, snorkling and marine observation offering hours of natural diversion. The surf of Bocas is the some of the heaviest in the Caribbean and the SCUBA diving is first class, with 74 of the 79 known species of coral in the Caribbean found under the year round warm water(26-29 degrees celcius). On the mainland of Bocas del Toro, the Parque Internacional la Amistad is well worth stepping off the islands for. The mountainous terrain of the national park extends into Chiriqui province and from Panama to Costa Rica. It is home to over 100 mammal species including many primates, endangered popuylations of Tapirs, Shrews and Olingos and the five species of wild cats found in Panama. It also provides refuge to its fair share of birds, amphibinas and reptiles. The remaining parts of mainland Bocas del toro are, by and large, rugged areas with difficult access issues, inhabited by few Panamanians and visited by even fewer tourists. – Game fishing, scuba diving, surfing, and much more…. – Changuinola – The gateway into La Amistad National Park and Costa Rican border. 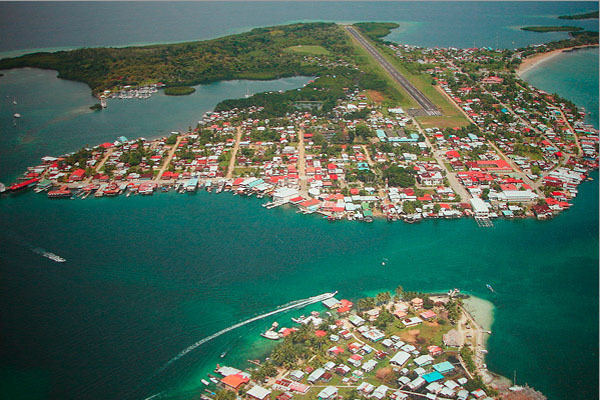 – Isla Colon – Gateway for visitors to the Bocas Del Toro island Archipelago, carnival atmosphere all year round. – Isla Bastimentos – This is the place to really mix with the locals and soak up the sun on one of many beautiful beaches. – The Zapatilla Keys – excellent snorkelling and scuba diving in Bastimentos Marine National Park. Colón Island (in Spanish: Isla Colón) is the northern-most and main island in the Bocas del Toro Archipelago located in Bocas del Toro Province, Panama. 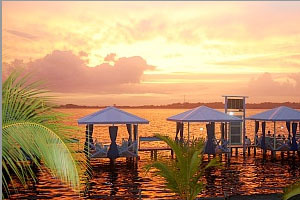 The capitol city of this province, Bocas del Toro, is located on the island and is one of Panama’s main tourist attractions. The city’s airport is the centre of flights heading outside of the country and is a hub for Air Panama, the national carrier. It is also one of the few Panamanian cities in having a port. Beachfront hotels, restaurants, night clubs, Discothèques and residential districts are prominent in Isla Colón. Isla Colón has a strong boating community. Access to all the other nearby islands, requires either private boat, or the rental of a Water taxi. Isla Bastimentos, located approximately a 15 minute boat ride from Isla Colon in the Bocas del Toro province of Panama, is one of the largest islands in Panama at around 52km2(20 square miles). The majority of the Afro-Carribean population of around 200 people live in the main town of Old Bank on the western tip of the island. The rest of the population is spread at various tourist accommodation locations on Bastimentos and a couple of small villages of indigenous Nogble-Bugle people. 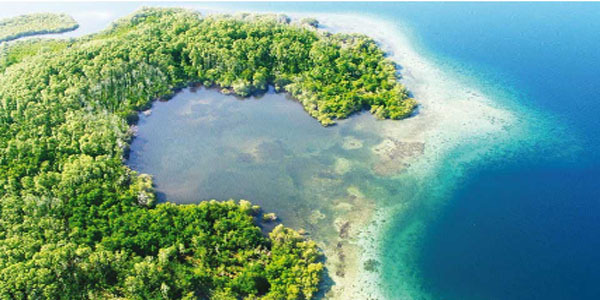 One of the main attractions in this area of Bocas del Toro is the Bastimentos marine National park, which covers a large portion of Isla Bastimentos, the waters and mangroves that are around the island and the Zapatilla Cayes, a small island group whose beauty rivals that of the San Blas islands. The western tip of Bastimentos is not part of the marine park and this is where the majority of the people live. The eastern shore of Isla Bastimentos faces towards the Caribbean sea and is usually rougher than the western shore of the island. The landscape of the western shore has large rock faces, long stretches of beaches, lots of coves and inlets and is very dramatic looking. Nearly all of the beaches on Bastimentos are located on the western shore, including the famous Red Frog beach and Wizard beach. Because of the rough seas and rugged shorelines, many of these beaches can not be accessed by sea. However between August and October the seas are much calmer and it may be possible to land on the beaches from the sea. Red Frog beach is the most accessible beach of Bastimentos and is also the beach that is most frequently visited. Most people vist Red Frog beach by walking across the island from Magic Bay. 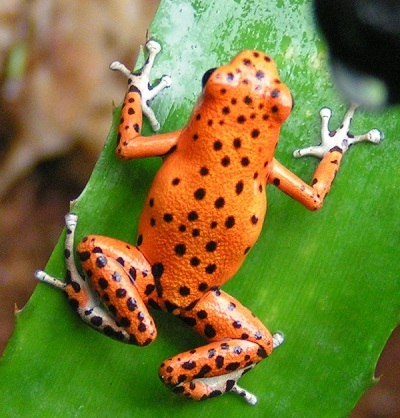 Along the trail it’s very likely that you’ll see a number of red frogs, also known as strawberry poison dart frogs. Rd Frog beach is named after these native frogs and although they are less in number than they once were they’re still common on Isla Bastimentos. There are a number of hotels on Isla Bastimentos, as well as a dive shop. But although there are places to stay on Bastimentos, most people will visit on a day tour from Isla Colon.